DM Development and DDG have reported strong activity following the recent launch of sales at 450 Hayes, the much-anticipated four-story, mixed-use condominium development, in the very heart of Hayes Valley. The brisk sales reflect significant early interest from buyers in this rare, prime location. Designed by Handel Architects for DDG and DM Development, 450 Hayes introduces a collection of 41 distinctive residences including modern townhouses and one-, two- and three-bedroom residences, many with private terraces. 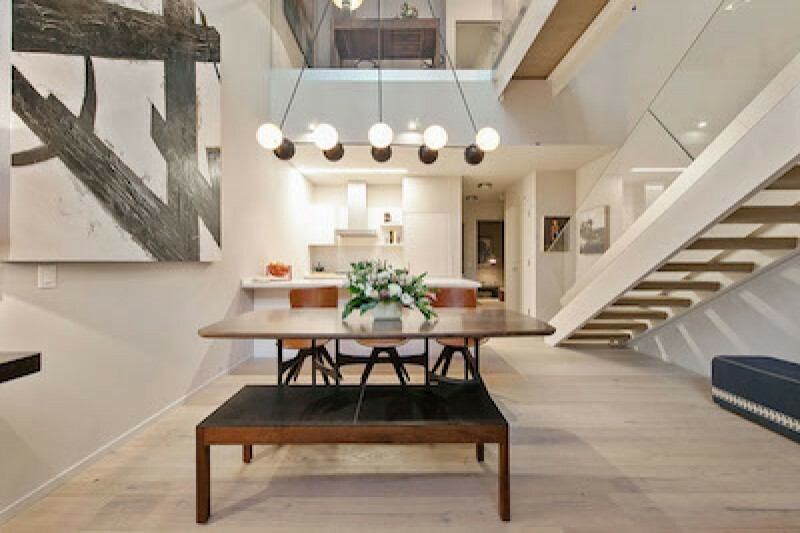 The modern townhouses represent the next generation of urban residences, blending soaring 25-foot-high ceilings in the living and dining areas, private entrances, and master suites with private courtyard-level terraces and modern free-standing tubs. The refined details the development team is known for are found throughout 450 Hayes: from custom SieMatic kitchens and sustainably-sourced, wide-plank oak wood flooring to the gracious entry lobby finished in wood, stone and brass and birch tree courtyard designed by Marta Fry Landscape Associates. A rooftop terrace and lounge offers views of the neighborhood and Sutro Tower, a San Francisco landmark. From this prime address, residents will enjoy unparalleled access to some of the city’s best shops, restaurants and cultural venues, including the new casual eatery by Adriano Paganini’s renowned San Francisco restaurant group, which will open at 450 Hayes later this year. Joseph A. McMillan Jr., chairman and CEO of DDG, observed: “With 450 Hayes, we continue to demonstrate how successful development engages and enhances the neighborhood. The quality of the design, the way the retail spaces are scaled and curated for the neighborhood, how the townhouses transform Ivy Street; every decision contributes to the experiences of the neighborhood as well as 450 Hayes’ residents. 450 Hayes is the premier property among DDG and DM Development’s quartet of Hayes Valley projects which also includes 8 Octavia by Stanley Saitowitz, 400 Grove by Fougeron Architecture, and Parcel T, an upcoming project with Edmonds + Lee Architects. The development team remains involved in the ongoing management of its properties to maintain a high-level resident experience. DM Development is a real estate development and investment firm based in San Francisco. DM Development sets new standards for residential development by creating and investing in projects that combine bold architectural design with progressive sustainability features to enrich communities and redefine modern living. DM’s development portfolio of completed and in-progress projects include 8 Octavia Boulevard, 400 Grove Street, 450 Hayes Street, Parcel T, 2290 Third Street, 815 Tennessee Street, 311 Grove Street, 2465 Van Ness Avenue, and 2301 Lombard Street in San Francisco. DM Development is active in San Francisco and Los Angeles.